Home » Education Articles » Design & Media » Media Production » How Much Does an Audio and Video Producer Make Per Year? How Much Does an Audio and Video Producer Make Per Year? As media gathers a more relevant role in every day society, more individuals are becoming interested with the audio and video production industry. As an audio video producer you will be provided with the opportunity to work in a fast paced environment. You will also be able to utilize your creativity and managing skills to ensure that multimedia projects are completed. As one of the most popular careers in the audio/video industry, audio and video producers make a beneficial salary. As previously mentioned, audio/video producers have many different tasks that they will be required to complete on a daily basis. The main duty of an individual working in this industry is to ensure that the filming and recording of a particular project runs smoothly. 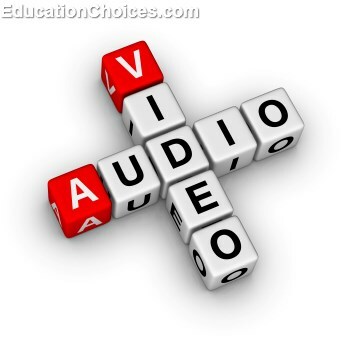 With that being said, audio/video producers may be required for educational videos or even multimillion-dollar movies. You will need to gather an ample amount of knowledge pertaining to audio and video equipment. The majority of audio and video producers do not work year round. Considering that these professionals are generally hired for individual projects, they are constantly on the search for new job opportunities. Although this may prove to be difficult rather than maintaining a stable career, audio and video producers make a hefty salary. The average salary for an audio and video producer is $ 65,000.00. Although the majority of audio and video producers are unable to find permanent work, there are some designing firms seeking the employees for long-term employment. For those who are able to find a permanent career with one company, the average salary is $ 68,179.00. With the right amount of experience, audio and video producers working with a design firm can make up to $ 149,500.00 annually. Depending on where you work, your salary can vary. As with the majority of careers, if you reside within a metropolitan area you will earn a larger salary than if you were to live in a rural area. Especially with an art based career, the more populated your city is, the more likely you will be to make more money. For those who work within metropolitan areas, the average salary is $ 76,964.00, whereas those working in rural areas will earn up to $ 40,591.00. As an audio/video producer you will be able to earn a hefty salary to benefit you and the needs of your family. With the opportunity to find a career with many opportunities and an interesting work environment, more students are beginning to partake in audio/video producer courses. With the help of audio and video producers, television shows, movies, and other multimedia projects are able to be filmed with ease and efficiency.